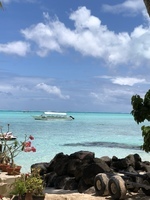 We have wanted to return to Tahiti since our last cruise there in 2001. It was the perfect relaxing getaway in a most spectacular destination. French Polynesia has such dramatically beautiful islands. Perfect weather too - not too hot! 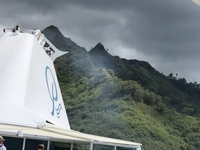 The staff on the Paul Gauguin were the most personable of any cruise we have taken. Just amazing. The ship is lovely, comfortable and spacious. Three places to dine — all good! Loved dinners in La Veranda but wished the menu changed throughout the week. 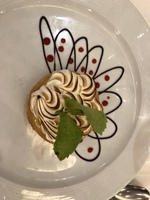 Nevertheless the food was great, nice presentation and impeccable service. Embarkation and disembarkation was handled very well - smooth and quick. Efficient. Did only two shore excursions as we had been to Tahiti before. Enjoyed the private PG beach - all included. Used the spa for massages - very nice! For a small ship, the Paul Gauguin had a little of everything the big ships have, even a small casino. What it did NOT have was a crowded feeling! We thoroughly enjoyed our week. Will look forward to cruising again on the Paul Gauguin. 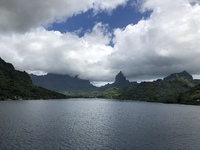 We have wanted to return to Tahiti since our last cruise there in 2001. It was the perfect relaxing getaway in a most spectacular destination. 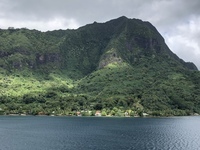 French Polynesia has such dramatically beautiful islands. Perfect weather too - not too hot! The staff on the Paul Gauguin were the most personable of any cruise we have taken. Just amazing. 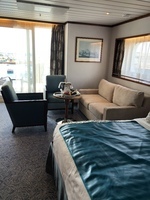 The ship is lovely, comfortable and spacious. Three places to dine — all good! Loved dinners in La Veranda but wished the menu changed throughout the week. 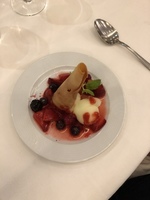 Nevertheless the food was great, nice presentation and impeccable service. Embarkation and disembarkation was handled very well - smooth and quick. Efficient. 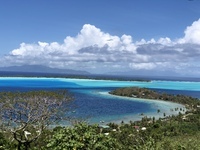 Did only two shore excursions as we had been to Tahiti before. Enjoyed the private PG beach - all included. Used the spa for massages - very nice! For a small ship, the Paul Gauguin had a little of everything the big ships have, even a small casino. What it did NOT have was a crowded feeling! We thoroughly enjoyed our week. 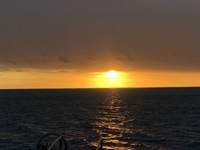 Will look forward to cruising again on the Paul Gauguin. Fabulous space with two veranadas - one very private right over the bow. So much storage space - could not use it all! Even in the bathroom. Comes with unlimited Wi-Fi. Superb butler service. The view spots were fantastic and it was fun being out in the open air on the ATV. I was not fond of the bumpy off-road tracks though.